Here’s the main reason you have a website: to attract new clients or customers. Right? So why isn’t your website attracting both the volume of visitors you want, not to mention the right kind of visitors: those super-special people that go on to purchase your products and/or services? I’m going to tell you a secret: the secret to attracting customers to your website isn’t a secret. Wait, what? Here’s the truth: attracting more customers to your website isn’t all that difficult, and there are ZERO tricks involved in the process, though there is a bit of a learning curve, I will admit. So let’s remove the mystery, shall we? Your target audience (or target market) is the group of individuals that make up your list of ideal clients. To discover your target audience, ask yourself one basic question: Who is my ideal customer? Own a surf shop in California? Your ideal client might be a male between 25 and 40 with above-average disposable income (think DINKS), an experienced surfer who appreciates high-end brands paired with a down-to-earth atmosphere. IT solutions provider? Maybe your ideal client is a small- to medium-sized service-based business in the Chicagoland area, with an owner who values people over technology and not vice versa. You must have a clear picture of who’s buying your products and/or services. Which people benefit from the products and/or services you provide? Ok, sometimes discovering your target audience isn’t that easy. It can be a process. But once you have that ideal customer in your head, you’re ready to move forward and nab those ideal customers through your website. What’s in a brand? Most people think that a brand is a logo. Your logo is only part of your brand. Your brand is a collection of aligned components that uniquely identify your company. To be effective, your brand must be both unique and memorable. Your brand conveys your story to the world, and in a way that particularly resonates with your ideal customers. Think of two colors that remind you of McDonald’s. Think of a song that reminds you of McDonald’s. Think of a character that reminds you of McDonald’s. Think of a slogan that reminds you of McDonald’s. Either way, you get my drift. These are all components of a great brand: they’re unique, memorable (perhaps irritatingly so), and they tell a story that you subconsciously associate with smiling people eating French fries (whether you want to or not). Creating a great brand is a LOT of work, but it is SO worth it. The trick is to create a clear, consistent, and complete brand that appeals to your target audience. I recommend hiring a brand identity designer/manager or a creative agency to do the legwork. Two reasons: 1.) If it’s not in your skill set to come up with all these awesome branding components in a consistent fashion, you will pull your hair out trying to do so; and 2.) It’s really hard to design your own brand. You’re too close to your own company. Outside perspective is crucial and oh-so-worthwhile. I swear you will thank me later. So, you know your ideal customer and you understand your brand, right? Alrighty! Time to get those two married and moved into your website. To attract those ideal customers, you need great web content. Great Written Content is Key. Your great written website content must appeal to your target audience and accurately reflect the principles and ideas (and the look and feel) behind your brand. (…and, after all, it’s the written content that matters most in terms of search engine optimization (SEO).) When your basic written website content is solidified, it’s time to add a blog and make your content shareable through social media to truly connect with your target audience on a regular basis. 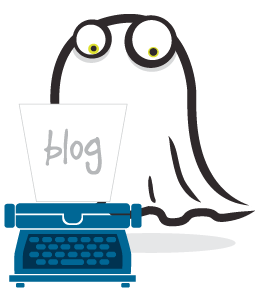 Regularly updated, recent content also improves SEO—so starting a business blog can really work wonders for your content marketing strategy. Don’t Sell—INFORM. Consumers are sick of being sold to. Period. Don’t tell your customers why your company is great. SHOW your customers why you’re great! Content marketing strategies can include videos, photos, blog entries, social media sharing, e-newsletters, podcasts, and more. One rule: it must be interesting and engaging—and, whenever possible, awesome. And not just awesome to anyone; your content must be awesome to your target market. When you stop selling and start sharing information, you’ll earn the trust of your ideal customers and keep them coming back for more. In short, engage your target audience by creating amazing web content that speaks to your brand while speaking their language. Offer valuable written information to build long-term customer relationships. Do you understand both your brand and your target market? What’s the hardest part about defining your ideal customer? Would you eat a chicken nugget you found on the floor? Contact Posts By GhostTM or leave a comment below! Image courtesy Flickr user Rob Ellis.